Parents are being warned about fake imported Nintendo games consoles which could be a fire hazard and pose a danger to their children's safety. 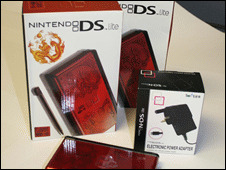 HM Revenue & Customs said it had seized hundreds of counterfeit Nintendo DS and DS Lites, which were discovered to contain dangerous power adapters. Nintendo confirmed it had not produced the potentially dangerous adaptors. Several UK consumers had ordered the consoles after being attracted by the much cheaper price. Many had been bought for £40 instead of the usual £100 retail price. HM Revenue & Customs (HMRC) warned UK customers to be "vigilant" when purchasing electronic goods from websites. "Buy from a reputable or regulated site, and if purchasing from outside the UK or a new website research the site, check all the facts before you buy," said Pamela Rogers, HMRC's head of intellectual property rights. Mike Rawlinson, managing director of the Entertainment & Leisure Software Publishers Association (ELSPA), said that when a deal looks too good to be true "it often is". 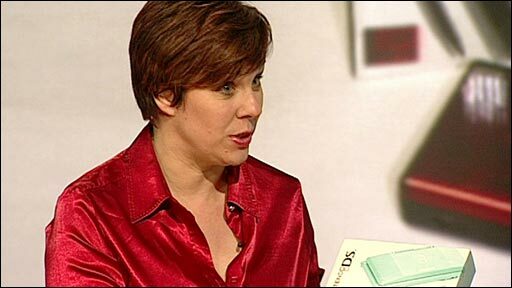 Speaking to the BBC, HMRC spokesperson Clare Merrills warned that faulty counterfeit consoles could be unsafe. "You might find you plug it in and the adaptor sets on fire or the wires start to melt and stick out," she warned. "When you buy these goods, you're not funding our economy, you're actually funding criminals in these far off places and it could be linked to terrorism," she added. Consumers who have received fakes are advised to either contact the companies from which they bought the goods or contact their local Trading Standards office. How safe are your Christmas presents?